This 10' x 6' Walton's Select Tongue and Groove Pent Shed is a high quality garden building with plenty of storage space. Our install service requires an extended lead time and there may be an additional installation charge. We will contact you to arrange any additional payments, delivery and installation dates. Please refer to the Delivery information below for detailed information. Please Note: Sizes are approximate only. For specific details, please consult our technical department. This Waltons 10ft x 6ft Select Tongue and Groove Pent Shed is one of the largest available in the range, making it great value for money. This shed is the perfect combination of traditional design with modern materials. This pent shed is constructed using high quality, shiplap tongue and groove cladding. Tongue and groove cladding is hardwearing but also helps protect the building from water damage as the panels interlock and feature unique shiplap profiling to aid in water runoff. This shed also features a styrene window to allow natural light into the building. This pent shed also features a wide door, so you can easily store and retrieve items. 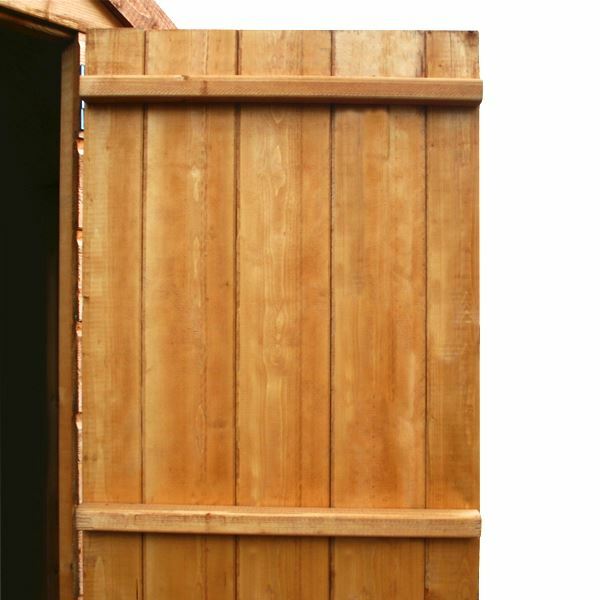 It comes with a pad bolt to help keep your belongings safe when you're not home and the floor and roof of this shed are made from high quality, solid sheet board which gives it a sturdy foundation. 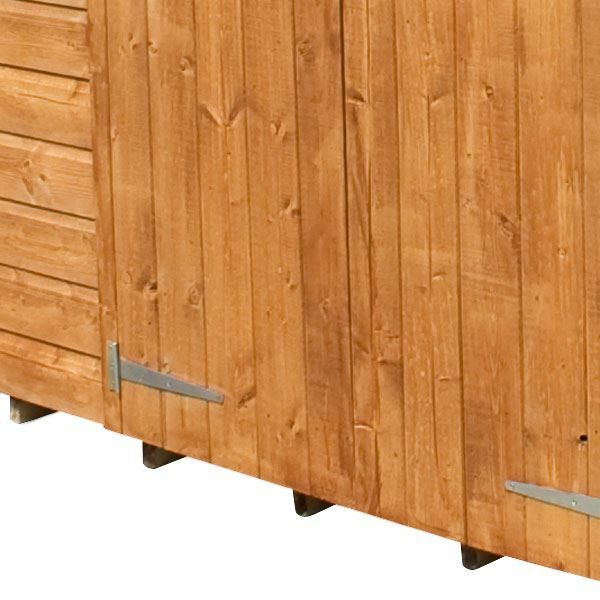 The Waltons Select Tongue and Groove Pent range is perfect for those seeking some garden storage but don't want to give over too much of their garden! Our dip treated buildings, once installed, will need treating as soon as possible and on an annual basis in order to receive the 10 year anti rot guarantee*. The building also includes a 1 year manufacturers guarantee* as standard. Our buildings are supplied flat packed as DIY kits with full instructions. Our factory applied Dip Treatment may differ in shade between components as it is simply a basecoat. Our styrene windows are protected using a clear film which will need to be removed after you've installed the building. Our Dip Treated Garden Buildings come with a 10 year anti rot guarantee. Anti-rot protection guards against fungal decay. The guarantee does not cover movement, twisting, warping or splitting of timber products over time. During manufacture we apply a water based treatment which protects against fungal and insect attack. This treatment lasts approximately 3 months and will require a preservative top coat application as soon after construction as possible. In order to keep your building in tip top shape and maintain the 10 year anti rot guarantee, it will need re-treating at least annually. 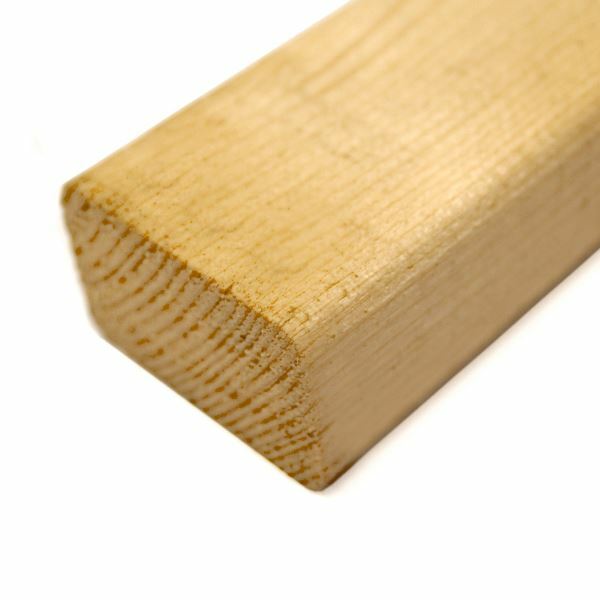 Only high quality timber preservatives should be used and applied in accordance with the manufacturer's instructions. This must be done at least annually to preserve the 10 year anti rot guarantee. For more information please refer to the Waltons T&C's. Subject to the conditions set out in the T&C's (Section 8) the Seller warrants that the Goods will correspond with their specification at the time of delivery and will be free from defects in material and workmanship for a period of 12 months. We want you to enjoy the use of your new garden building for many years. To give you the best chance of doing so, your product needs protecting at the start and maintained during its life. If you're planning a DIY project, please read our Self-Installation & How to Build a Shed advice pages before you start. All long-lasting garden buildings will have been built on a solid and level base, either concrete, slabs, a wooden frame or ground level bearers. 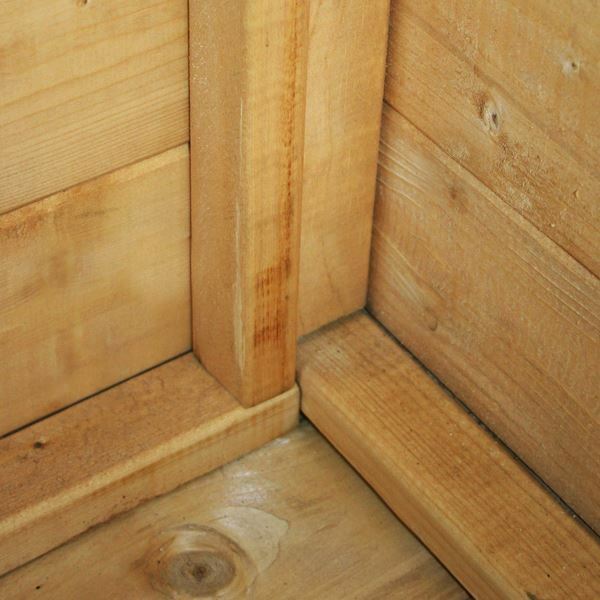 A flat, level base is essential, for more information go to our How to Build a Shed Base guide. If your garden building is not level and square when built, it will twist and warp with the natural movement of the wood. The first signs of this are when the doors or windows stop opening and closing properly. You may get issues with the roof and potential gaps in the panels which will allow water in, there may be flex in the floor and probably creaking. Check your base is level in both directions and adjust prior to the build. It will be really difficult to adjust afterwards. All Waltons shed windows are designed to fit well, but over time and with the movement of wood, small gaps can appear. Help to prevent this by sealing your windows with a silicone sealant. 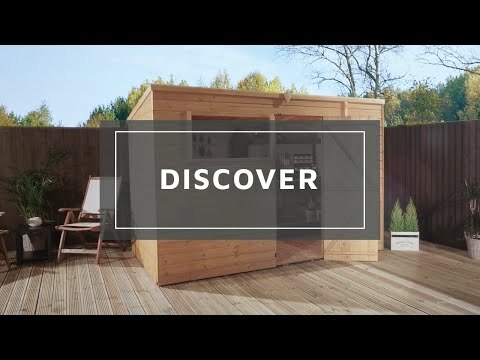 You can do this either when you build your shed, or add it to an existing one. We've created this video Protect Your Shed - Silicone Window Sealant for guidance. We've also created these handy Maintenance Guides to help you make the most out of your building, for years to come. Should you require any further advice, you can contact our Customer Service Team on 0800 029 1000 and select Option 3. Delivery on this building is 7-10 working days to most UK Mainland addresses. 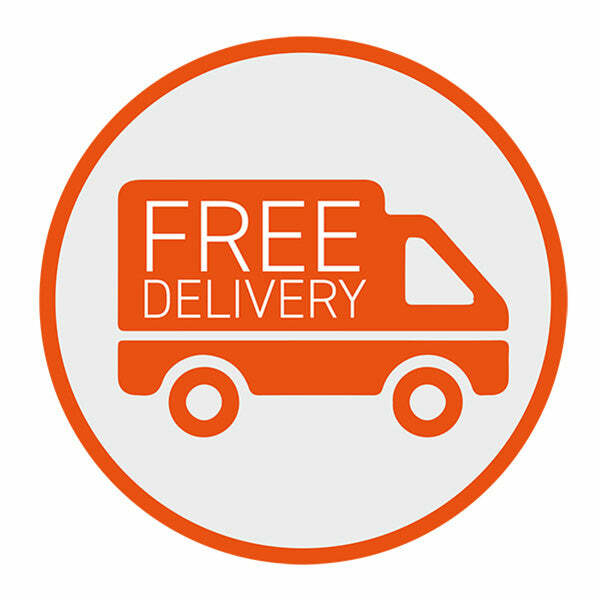 You can book the day of your choice for delivery when placing your order, alternatively you may place your order without selecting a delivery date and one of our team will contact you directly to arrange a suitable delivery date. Important - Unless otherwise stated delivery is kerb side only, though at the drivers discretion they may be able to help you lift the building to a more suitable location outside your property. If you need to transport the building through your house then you will need to make your own arrangements prior to delivery to do this as our drivers are not insured to enter your house. The Customer or Friend/Neighbour will need to be present to sign for the delivery. We cannot leave the item without a signature. Our driver will call you when they are approximately 30 minutes away from your location. This garden building comes with FREE delivery to most UK postcodes. For more information check here. This building is clad using 12mm thick interlocking tongue and groove board to prevent weather damage and provide maximum strength. This building is supplied with an OSB roof. Hardwearing, stable, excellent moisture resistance and no knots or voids to worry about. This garden building features double framed corners for added strength and stability. A Butterfly catch is provided with this garden building to help keep the door shut tight. This Product carries the 10 year Anti Rot guarantee as long as the garden building is well maintained. Unlike many companies, we publish all of our reviews - good or bad - to give you, the customer, total transparency and peace of mind. Review:Fairer Preis für dieses Produkt! I am pleased to know that you are happy with both the service and product provided and I thank you for taking the time to offer your feedback. I am delighted to know that you are happy with the excellent service we have provided you with and I am sure that once erected, you will be very pleased with your tongue and groove shed. Thank you for your feedback! Review:I've said what I need to say but this field has to be filled in to post. Thank you for letting us know your delivery driver was helpful! I am pleased to know that you are happy with the quality of your tongue and groove shed as well as the high level of service supplied. Thank you again fro your feedback. Review:Good value for product brought. It is great to know that you are happy with the quality and value for money of your tongue and groove shed and I thank you again for your positive review! Review:The shed is of good quality, the instructions are simple to follow and the shed was up in a couple of hours. The only problem was a couple of the joints were slightly warped but with a bit of thought and some extra screws it went together well. I am thrilled to know you are very pleased with the quality of your tongue and groove shed and I thank you again for taking the time to provide us with your positive feedback! Review:The shed was easily built in a day and has survived it's first storm. It is great to know that you are happy with your tongue and groove shed and that assembly went well. Thank you again for your great feedback! Our Reply:I am glad that you are pleased with the quality of your shiplap shed and how sturdy this product is. Review:The photo doesn't do the shed justice is great. Review:Nice quality product which was priced very competitively. Our Reply:I am pleased that you are happy with the value for money and thank you again for your feedback. Review:Product is excellent - but misrepresented slightly on website. Review:I would say the shed is good even if slightly overprice. Our Reply:Sorry that you feel it is slightly overpriced but I am glad that you are happy with the shed overall.